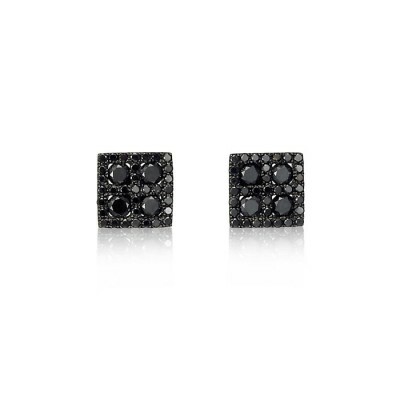 More than 6 dozen black diamonds, in a striking geometric pattern, make these earrings a dashing fashion statement. 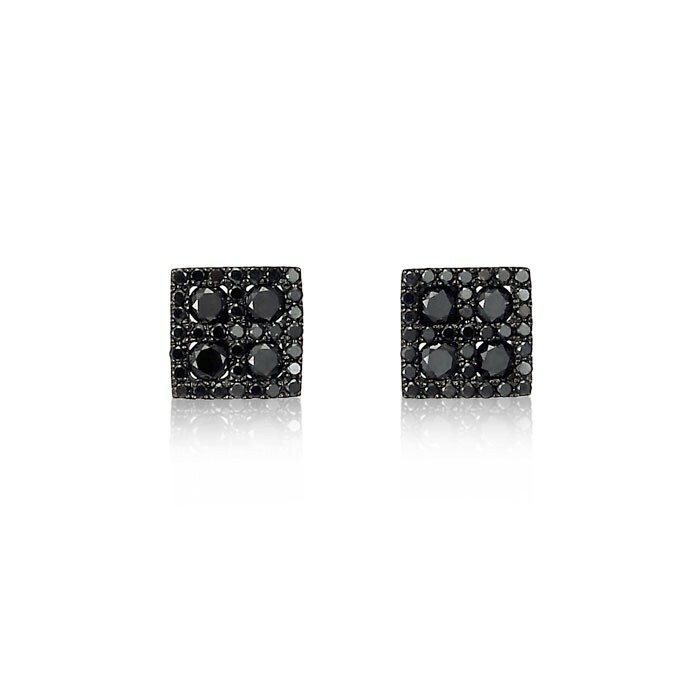 Because black goes with everything, of course, these diamond earrings will be a sophisticated accent to your wardrobe, no matter the occasion. 18-karat white gold with black rhodium. Approximately 1 carat total diamond weight per pair.